Mayor David Condon, flanked by City Administrator Theresa Sanders and City Spokesman Brian Coddington, announces a new police chief. The cost of the fallout from former Police Chief Frank Straub's forced resignation has already cost the city more than it spent on Straub's entire base salary during his three years as chief. Straub's tenure lasted from his first day on the City payroll on Sept. 24, 2012, until his resignation was announced on Sept. 22, 2015. At the beginning of 2015, Straub got an $8,500 raise to $179,484, not including benefits. But in the 11 months since Straub was forced to resign, the city defense against the ensuing lawsuit, and the city's independent investigation has already cost Spokane more than $597,000. And that figure is just from the bills the city has received so far. The Inlander obtained the financial information from the invoices for the work done by the independent investigator and the outside law firms working with the city. $122,823.88, from January 2016 to July 2016. To conduct her massive investigation into how the city handled the concerns around Straub, Cappel has billed the city over $120,000. Was it worth it? City Council President Ben Stuckart still thinks so. "I would always argue that we should be going after the truth, I think the Seabold Report was good," Stuckart says. "Got a lot of stuff out there." This is the law firm the city hired to defend against the lawsuit filed by Straub. So far they've been successful — the lawsuit was dismissed in June. But Schultz, armed with the illuminating transcripts from Cappel's report, says she's confident that she'll be able to appeal the dismissal and eventually go to trial. If she succeeds, it could be a lot more expensive in the long run. $217,286.43, from Feb 29 to July 29, 2016. Kutak Rock was hired to oversee the law firms of Etter, McMahon, Lamberson, Van Wert & Oreskovich in the defense of the Straub suit. Normally, the city attorney's office would oversee any outside law firm the city hired. But because city attorney Nancy Isserlis was herself named in the lawsuit, the city hired an outside firm to oversee the other outside firm in order to avoid a conflict of interest. During that time period, Kutak Rock lawyer and former Spokane Mayor Dennis Hession left the firm but continued working on Spokane's case. Kutak Rock was also tasked with sifting through thousands of emails, redacting them for attorney-client privilege before allowing the independent investigator to see them. Keller Allen represented Theresa Sanders in the defense against Frank Straub's lawsuit. Stewart Sokol & Larkin represented city attorney Nancy Isserlis. Both have billed the city, as is typical in these cases. Jim King, the attorney representing David Condon in the defense against Straub, is part of this law firm. While King has also been representing Condon in his defense before the ethics commission, to our knowledge Condon has not asked to be reimbursed by the city for those costs. We haven't included Milt Rowland, the attorney hired to assist the ethics commission with the still-ongoing litigation of the ethics complaint against Condon. Nor have we included any invoices related to the lawsuit filed by former Parks spokeswoman Nancy Goodspeed, nor any related to the public records claim filed by former SPD detective Brian Breen. 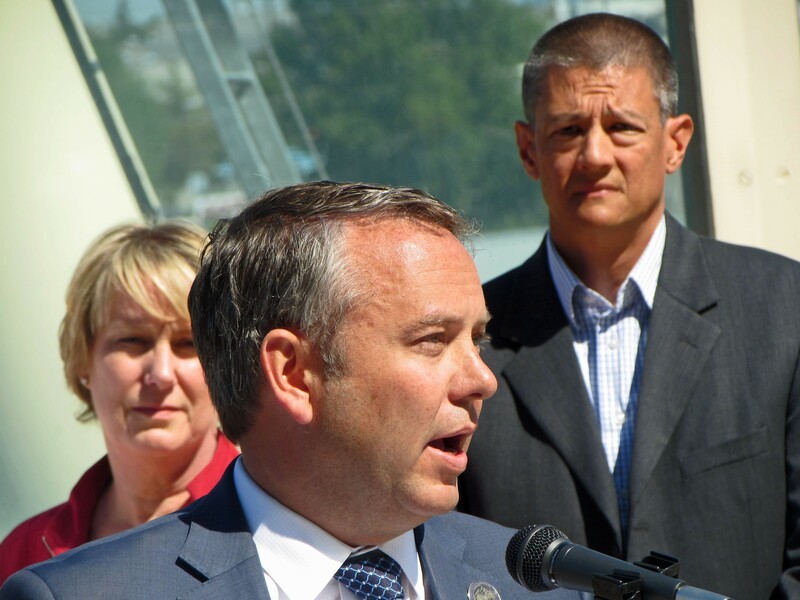 The recall effort against Condon cites the high cost of the investigation and the defense against Straub's lawsuit as proof that mishandling of the sexual harassment claims resulted "in direct financial loss to the taxpayers and citizens of Spokane." But Condon pointed out that the lawsuit had been thrown out by a federal judge. "I recognize [the cost.] It's something that we watch very closely," Condon said on KXLY 920 recently. "Unfortunately, from time to time as a large employer we are sued when somebody leaves city employment." He noted that, under former City Attorney Nancy Isserlis, the number of lawsuits against the city had fallen dramatically. Back in 2011, Condon hit Mayor Mary Verner for wasting money in its response to the Otto Zehm scandal. "A quarter of a million dollars and thousands of hours have been wasted while the bureaucracy churned away, trying to obscure the process," Condon wrote then. Ultimately, once he took office, his administration settled with the Zehm family for $1.67 million.